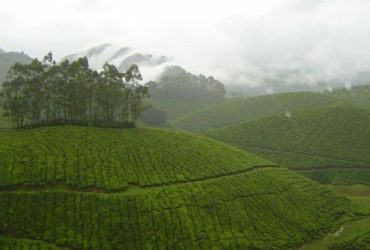 Wayanad occupies almost 345 sq.km area of the Wayanad plateau. This forest is also famed as the largest abode of the adhivasi people like Paniyas, Adiyars, Ooralis, Kurumas, Kurichyas, and Kattunaikkans of Kerala too. Lush green forest with rich wild life habitat is the main attractions of this place. This place is also the home of some of the most endangered and rare flora and fauna too. That is the reason to save them and nurture them in the year 1991-92 government of India includes this place in the Nilgiri Biosphere Reserve. 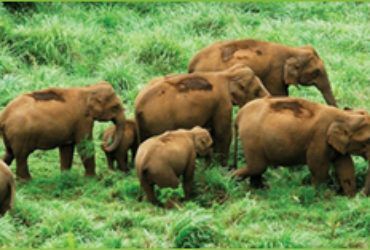 This second largest wildlife sanctuary of Kerala is formed in the year 1973 to ensure the safe living of the endangered species that are found here. Here one can find a few very rare and unusual species of birds like peafowl too. Situated between Mysore and Sultan Bathery, this place is also one of the major eco tourism spot of Kerala and India as well. This place is the home of the moist deciduous trees like maruthi, karimaruthi, venteak, rosewood, vengal, mazhukanjiram, chadachi, bamboos, more, while the semi-evergreen patches consists of veteria indica, lagerstroemia, lanceolata, termianalia paniculata. On the other hand you can find animal species like Elephants, tigers, wild dogs, jungle cats, civet cats, monkeys, deer, bisons, bears, monitor lizards, panthers, and a variety of snakes coupled with avian fauna like Peacocks, owls, cuckoos, woodpeckers, babblers, and jungle owls. This place experiences the salubrious climate conditions due to that the rainfall here is average. High velocity winds in south west monsoon are very common in this area. High altitude places face the severe cold climate during the winter time. If you want to visit this place you can come here any time of the year but if you want to enjoy the weather conditions as well then it’s better to come over here between June to October, in the time of fall monsoon. To enter in to the Muthunga wild life sanctuary or which is better known as the Wayanad wild life sanctuary you need to pay some charges. This place is well connected with other parts of Kerala and Karnataka as well. So reaching to this place is not a problem for anybody who wishes to pay a visit here. You can take either cab or bus, but best option is private car. Bus Routes: you can get uninterrupted bus services from the cities like Mysore, Nagarhole, Coorg, Ooty, and Bandipur. This wild life sanctuary of 345 sq. Km is not only the place for jungle safari and watching animals but also famous for other tourist attractions as well. So you can do various activities here other than only watching endangered species. When you are in a forest, a jungle safari in elephant or jeep is a must but other than that you can also enjoy different kinds of adventure sports like trekking. You can also take tour to Edakal caves which are famous for its petro glyphs which are date back over 3000 years. Thirunelly temple is another place of tourist attraction where you can pay a visit. Except these youcan go to the picture perfect pookot lake, Wayanad heritage museum and uravu where you can see the collection of all sorts of bamboo artefacts. Jain temple, tholpetty and muthunga are other places of interest where you can go while in Wayanad wildlife sanctuary. To rejuvenate your body and spend a few days in luxury you can visit Kannur Ayurvedic Centre. But the best thing where you should enrol is the eco-tourism programme run by the forest department of Kerala to experience the tribal life and heritage along with rich flora and fauna of this place. Due to the immense popularity of this beautiful animal sanctuary and proximity to the cities like Mysore and Ooty, this place witnesses thousands of footfalls every year. So there is no dearth of places to stay here, starting from the homestay to hotels you can find every option here. 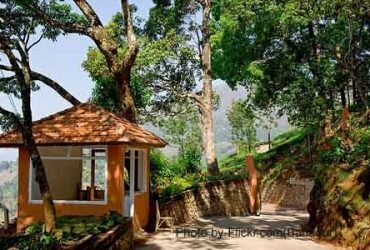 Among all other homestay arrangements tranquil and ente veedu are most popular options and located in natures abode. Except them if you are eyeing for good hotels you can go to haritagiri, Issac’s Hotel Regency, Mint Flower Residency, Pachyderm Palace, Pps Residency, Stream Valley Cottages, and Tamarind, etc. Wayanad wildlife Sanctuary is famous as the most beautiful wild life sanctuary of Kerala. It is also revered as one of the most visited jungle retreats as well. This may be the reason; it always enjoys the great share of visitors who are coming to visit the south India and its animal sanctuaries. The forest department of Kerala has also put effort to make this place beautiful and safe haven for the endangered animals. 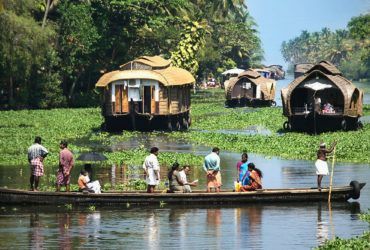 An eco tourism drive taken by the Kerala government boost up the number of visitors here. So, don’t forget to visit this beautiful Wayanad wildlife sanctuary of Kerala while touring Kerala.